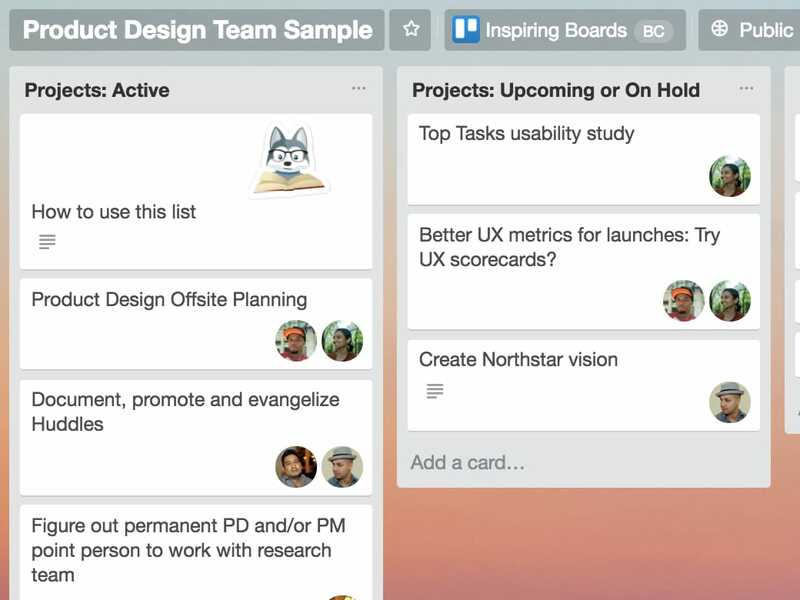 From creative requests to cross-team collabs, see how Trello helps your design teams deliver with style. How do you build a truly creative design team culture? Design teams, whether in-house or agency, aren’t defined as “creative teams” as mere lip service. The work your design team does has vision, meaning, and the purpose to create memorable experiences that connect people to concepts, brands, and beyond. Building a team culture that upholds this creative mission while keeping team to-dos and communication organized requires a little out-of-the-box thinking, too. Effective design teams know that a balance between artistic freedom and structured process gives them artistic freedom to work without the worry of if, how, when, and by whom the work is getting done. 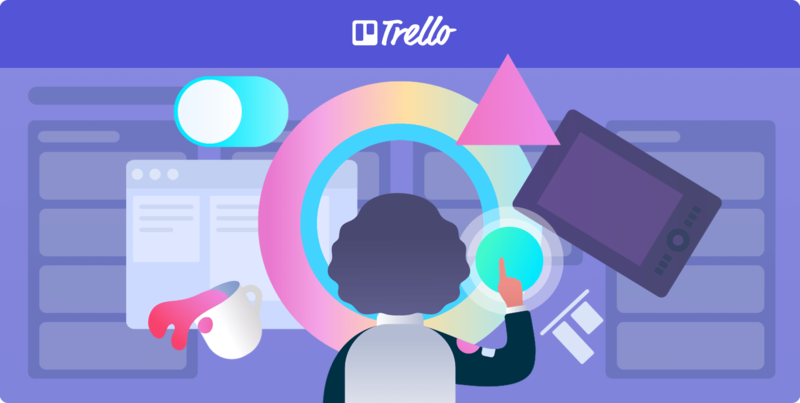 Support asynchronous teamwork with accessible-anywhere Trello boards that help creativity thrive whenever and wherever inspiration strikes. Keep all your notes, versions, feedback, and files in one place by connecting tools in your design stack like InVision, Dropbox, and Figma to Google Docs and more. Amp up visual perspective with image previews as card covers, custom backgrounds, and teammate avatars assigned to each task. 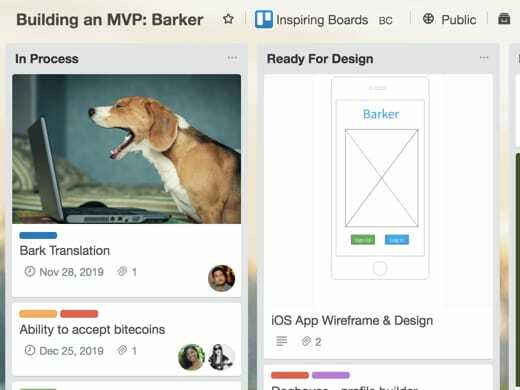 And because design team roles and responsibilities change almost as fast as seasonal color trends, Trello is there to evolve and grow with whatever new creative challenges come your way. Our own design team at Trello uses these boards to manage requests, build out new creative ideas, and work on cross-functional projects. Get inspired, copy the boards, and make them your own! Create a leftmost list with a card for each member of the team. Attach 3 checklists to the card: “Currently Doing,” “Up Next,” and “Done” checklists. Drag items from one checklist to another as they are being worked on. In the comments section of this card, update the team on what you got done every Friday. Create some static lists with general information for the team about regular meetings and other opportunities the team uses for sharing, like Lunch and Learn presentation sessions. Provide a leftmost list with some preparation steps to take care of prior to the actual sprint. 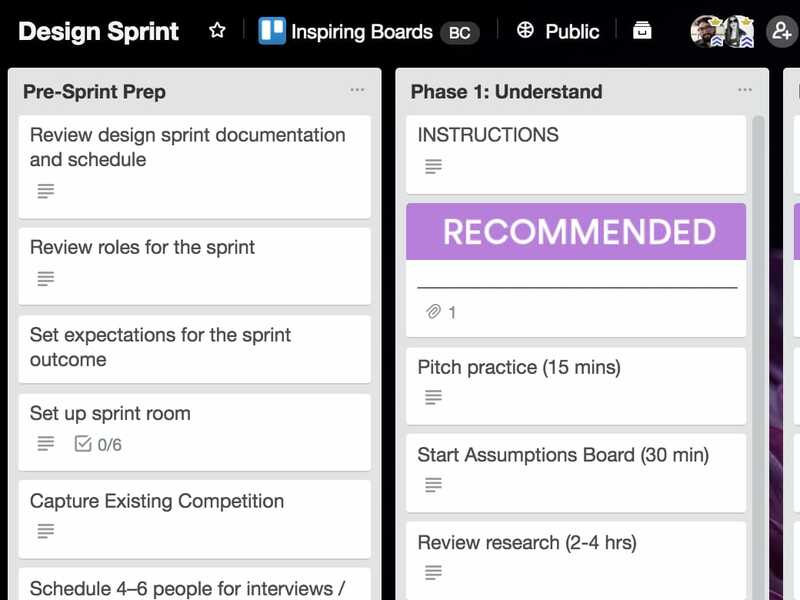 Create a list for each phase of the sprint, with detailed step by step cards showing the process. Indicate how long each step will take in minutes or hours. The sprint facilitator could even enable a time tracker Power-Up to track how long each session takes. Break out the details of each feature on its card—add checklists, attachments, and comment back and forth as designs progress. Enable Power-Ups like RealtimeBoard and InVision so everyone can see product specs come alive and directly comment on their progress. This board is a great way to collaborate with product managers, as well as external clients so everyone can see the progress. Use a leftmost list as a “How To Use This Board” card explaining the process for when people would like to submit a request to a designer. 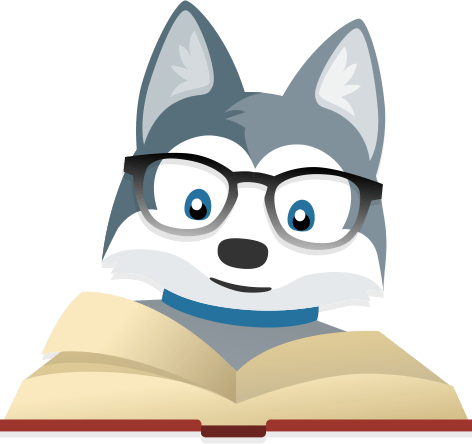 Create an Incoming list where anyone can come and submit a request to the board. Designers can then triage the requests every Monday morning so it’s easier for them to plan out their weeks. Enable the Calendar Power-Up so that when due dates are added to cards they can be viewed in Calendar mode, helping everyone to load balance what is due when. 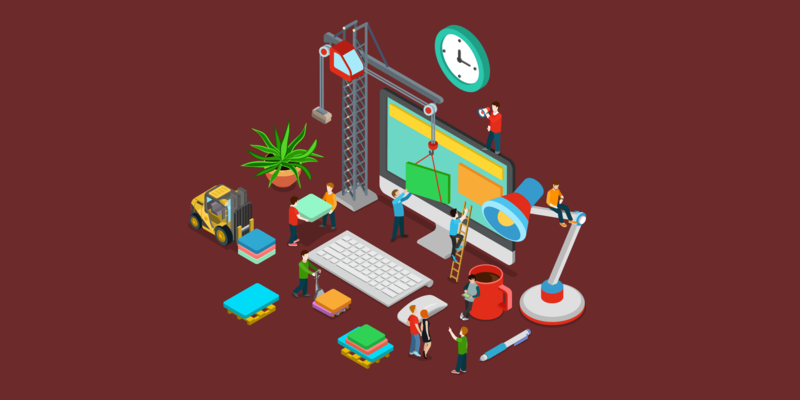 Create additional lists for relevant auxiliary team members such as “Ready for Development.” Also create a “Backburner” list for when designers have down time to work on longer term projects. Use this board for meetings where one designer would like the others to give feedback on their concept or design. The board provides structure, keeps record, and is democratic. Provide a list for each individual Huddle session with the agenda for that meeting. Each card is a different person that is presenting a project. The presenter can attach all relevant specs, and provide a detailed description of the scope right on the card. Attach Mural links to cards to allow the meeting attendees to take notes that are visible to the whole group. They are then reviewed by the presenter after they show their demo. You can also attach template cards in the leftmost list for attendees to easily copy when they need them. 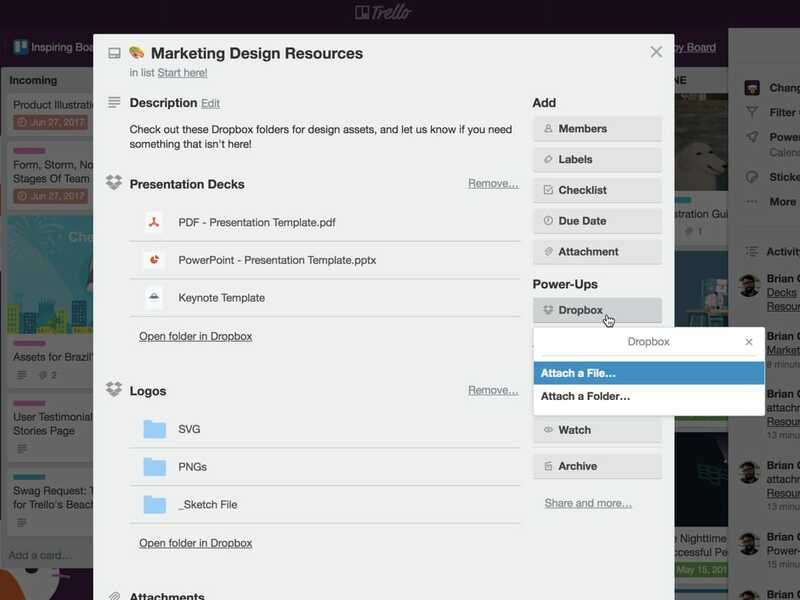 Learn how your Design Team can get more done with these free on-demand Trello webinars. 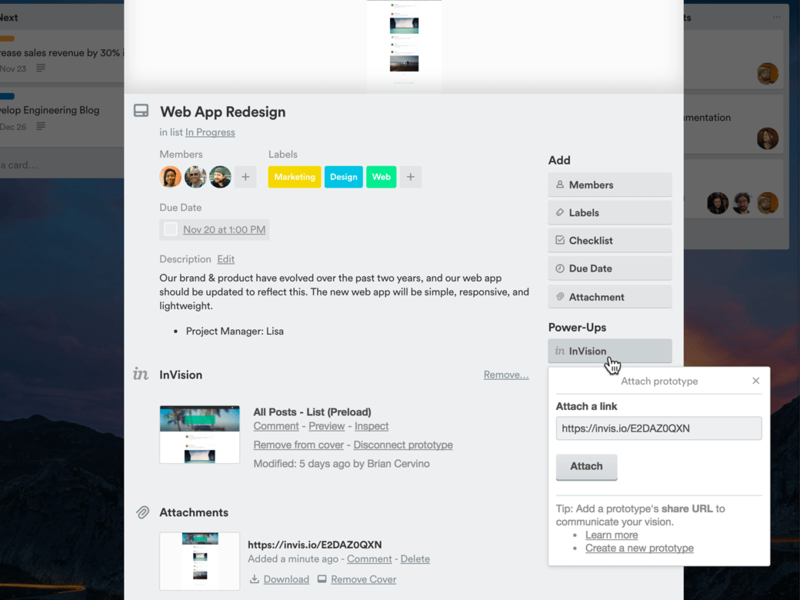 Easily share assets, mockups, and images with your team or clients. Save time by seeing real-time information and previews of attached files. 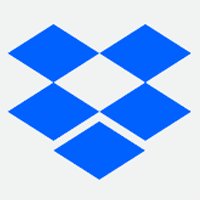 Instantly jump to Dropbox files attached directly to Trello cards. Trello also supports integrations with Google Drive, OneDrive, and Box. Create a streamlined collaborative process between designers, developers, and stakeholders so you can build better products, faster. Attach and preview InVision prototypes directly from Trello cards. 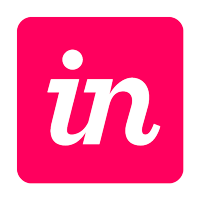 Easily leave comments in Trello that will sync directly with InVision. When designs are approved, developers can quickly grab the code and move the project forward. 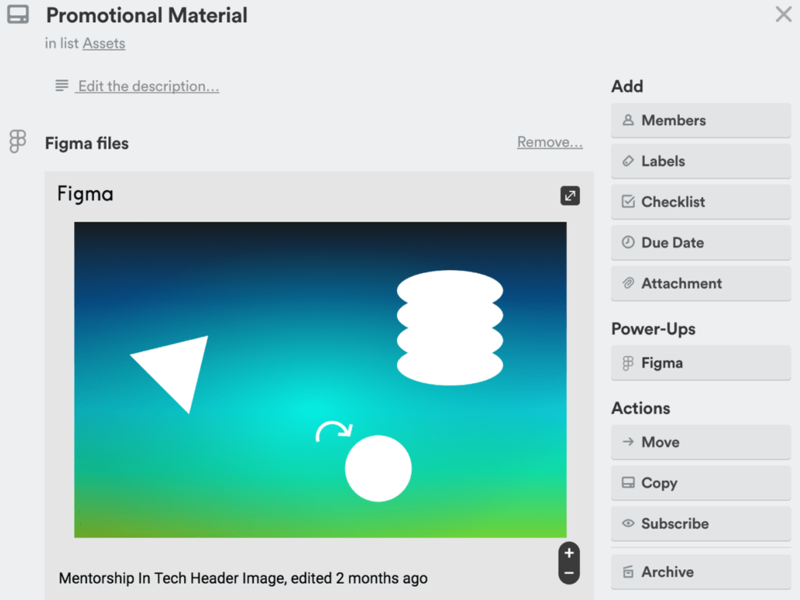 Attach Figma files and prototypes to Trello cards to share designs with clients and teammates. 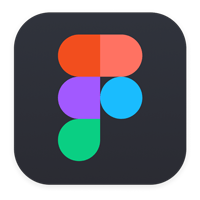 Live Figma files attached to Trello cards are instantly and always up-to-date in Trello so everyone can see the latest designs. Create a source of truth for developers and stakeholders to access the latest designs, and remove extraneous emails and chat communications. 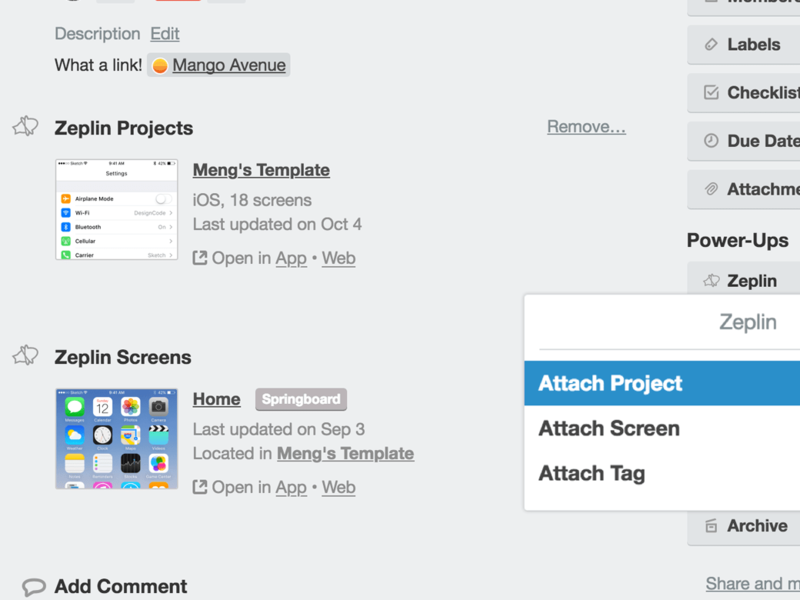 Attach Zeplin screens, projects, and tags to cards to quickly preview them. Share, review, and collaborate on designs without leaving Trello, and keep all of your important project information in one place. See up-to-date designs as they’re updated in Zeplin, right from Trello. 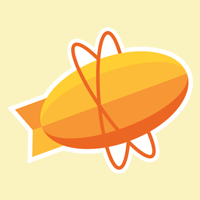 Quickly launch attached projects, screens, and tags directly on Zeplin desktop apps. 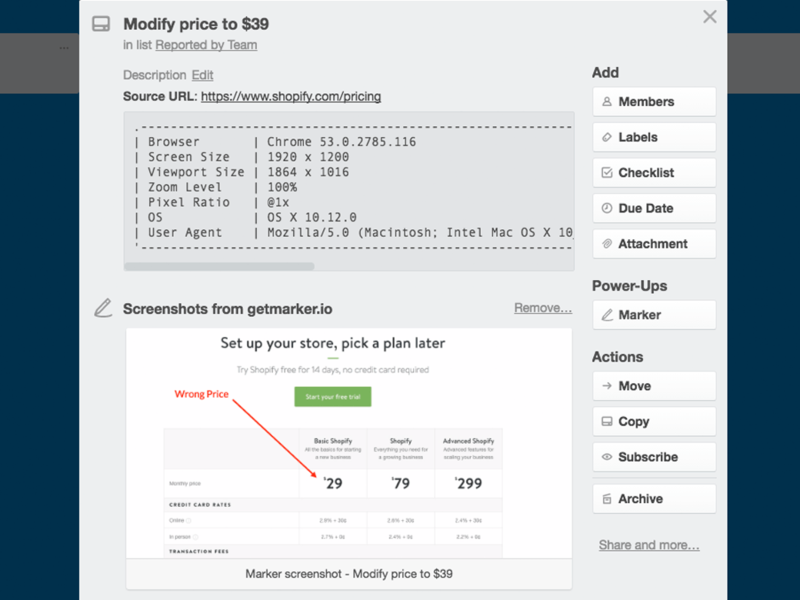 Capture and attach screenshots to Trello cards in seconds. 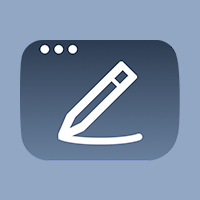 Annotate screenshots to highlight and correct image issues, errors, and typos. Automatically pull in technical browser specifications from the screenshots source for more accurate reporting of issues. 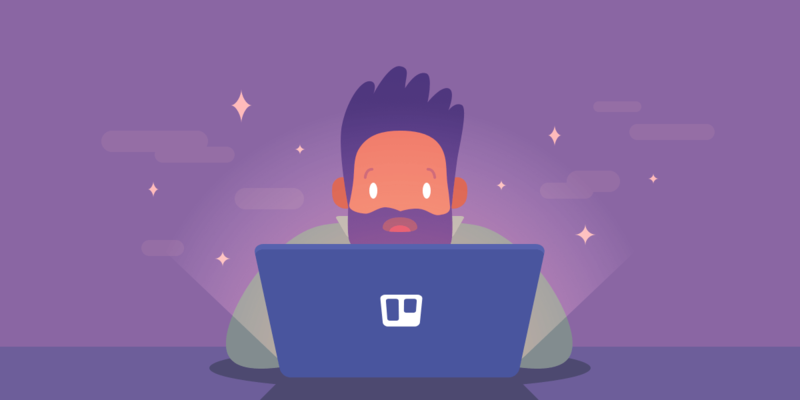 In-depth posts for designers and design teams from industry leaders and the Trello team. 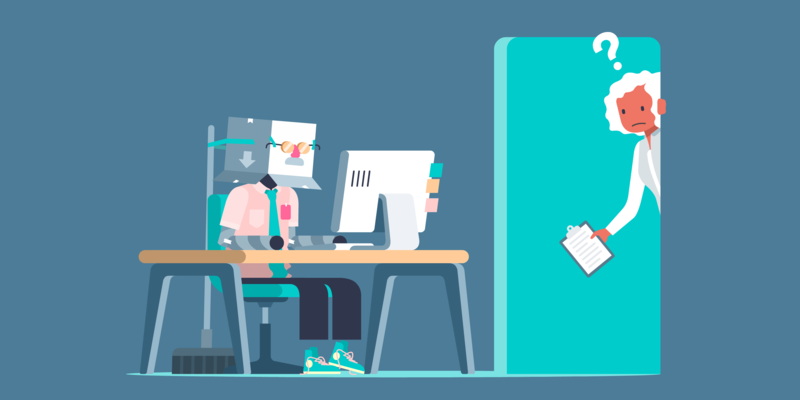 Our marketing designers have started utilizing a clever Trello board that helps them prioritize, get context, and stay on top of their myriad requests without burnout. 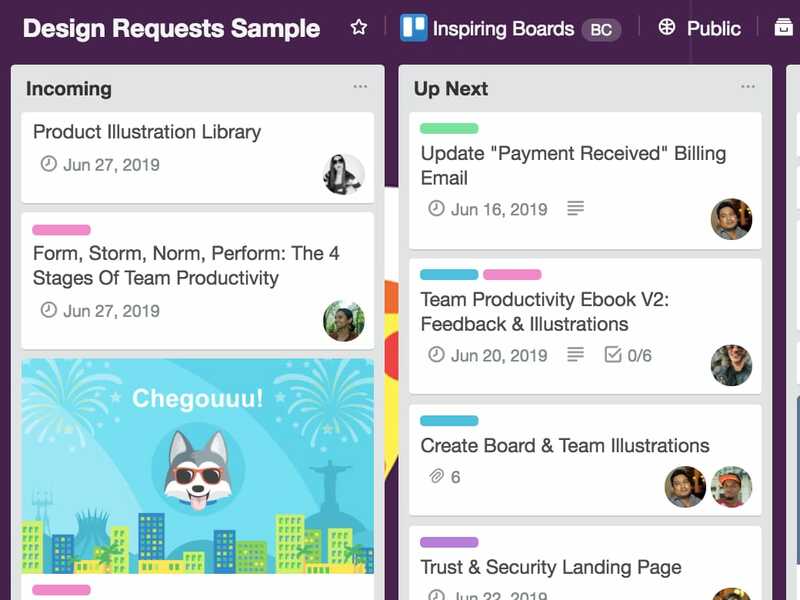 Help your team ship products and features faster than ever by turning your Trello board into a platform of productivity for cross-functional collaboration. As a designer, I’ve been determined to welcome inspiration without it feeling like another task to get done. Ready to get inspired about inspiration? Let’s get meta. There are many reasons to create a design system. Our main motivations are consistency, alignment, and efficiency. Read more about ours so that you can build your own.